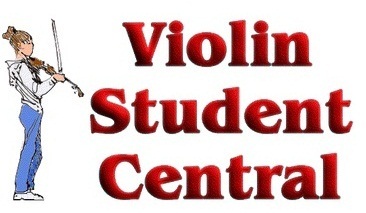 Often students need some sort of motivation to practice the violin. One of the best motivators I can think of is simply habit. Set up a time that you are going to practice, and do it every single day for a while. This can be hard, but you are establishing a habit. Once you have established the habit it will just seem natural to walk over and pick up your violin at the appointed time and start to play. Make sure that you consider the practice time just as important as any other activity in your life. Just as you would never allow yourself to miss a favorite television show, you should not let outside activites interfere with practicing violin. A Suzuki teacher I know believes that you should examine your day to see when you are the most attentive and productive, then schedule your practice for that time. It makes sense. It takes concentration to practice the violin. The teacher advocates setting aside that part of the day as exclusively violin time. That done enough times, and it becomes the parent who is the obstacle to practice, as the student has established his pattern. That's all the motivation he needs to start practice! And that's a good first step. Have YOU established the practice habit?